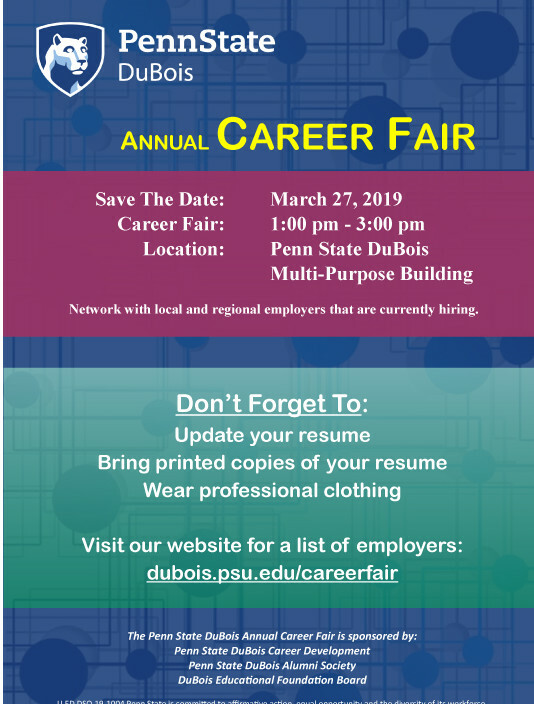 DUBOIS, Pa. (EYT) – Penn State DuBois is holding a career fair on Wednesday, March 27. The event is from 1:00 p.m. to 3:00 p.m. in the Multi-Purpose Building. Follow this link to view a map of the campus: https://dubois.psu.edu/map. Questions concerning this event can be directed to Anna Akintunde at aaa39@psu.edu.